Singer-songwriter Taylor Berrett recently signed to SRP Records (the company behind Rihanna‘s biggest hits!) and he’s already taking the music world by storm. His music video “Whole Heart” premiered yesterday and features Taylor singing a touching love song in an empty theatre. But just who is Taylor Berrett? The 19-year-old Northern Virgina native first got noticed by his cover of Drake and Rihanna’s “Take Care” with Vita Chambers. Taylor’s voice is mature beyond its years, with an appealing rasp to it. The duo did a beautiful acoustic version of the song showcasing their unique style and making the cover their own. Taylor’s five-song EP Anchor Chasing is currently available on iTunes. Check out the “Whole Heart” music video on MTV Buzzworthy. Want to see more from Taylor? 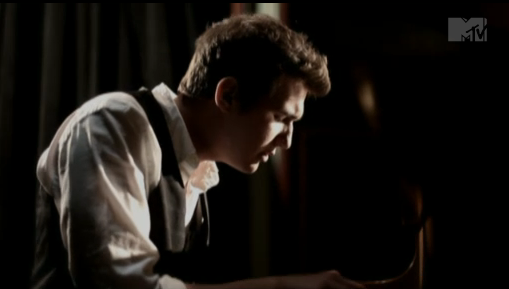 You can watch the music video for his first single, “Anchor Chasing,” after the jump!